By the 1890′s, dime novels were all the rage. They sold millions of copies each year. Teens and young adults were hardly immune to the allure of the often sensational stories. An ambitious author, Edward Stratemeyer saw an opportunity in publishing inexpensive novels especially for children and young adults. Stratemeyer had been around the publishing industry for years as both an author and an editor. He’d printed his first story at only fourteen years old, and was devoted to the industry from that moment on. In 1898, Stratemeyer got his big break: famous author Horatio Alger, Jr was ailing. Alger had already penned more than one hundred novels for boys, but he had a number of unfinished manuscripts. He invited Stratemeyer to complete one of the novels. Stratemeyer went a step further, negotiating for the copyright to four unpublished manuscripts, which he published under Alger’s name. Stratemeyer published The Rover Boys at School in 1899 under the pseudonym Arthur Winfield. The book was so successful, it became the first of a thirty-book series that sold millions of copies. Stratemeyer founded the Stratemeyer Syndicate expressly to produce new series like The Rover Boys. He would pay writers fixed fees to write books based on his outlines. By the end of the twentieth century, Stratemeyer’s books had sold billions of copies and spawned multiple imitators. The Bobbsey Twins debuted in 1904. 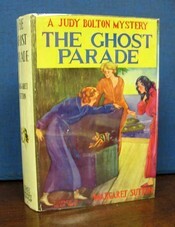 Written under the pseudonym Laura Lee Hope, the series was a runaway hit. 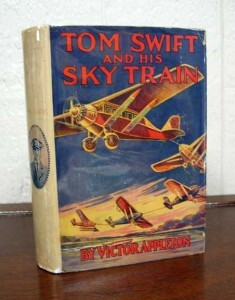 Stratemeyer followed up with Tom Swift (1910), written under the pen name Victor Appleton. By the time The Hardy Boys series began in 1926 (written under the name Franklin Dixon), about 98% of children named a Stratemeyer Syndicate series book as their favorite. Stratemeyer had truly established a publishing empire. 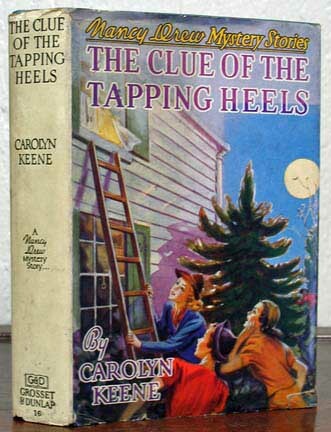 Nancy Drew debuted four years later–and originally outsold The Hardy Boys. Many of Stratemeyer’s series remain popular among children even today. They’re also favorites among collectors of children’s books because they evoke such nostalgia. Because the books were so popular, they were frequently reissued, but without changes to the copyright or edition information. Some were even updated to keep up with technological advances–again, often without any updated edition information. It’s difficult, then, to identify true first editions. While there are detailed bibliographies for Hardy Boys, Nancy Drew, and Judy Bolton, little information is available on most other series. Collectors should only purchase books from these kinds of series if the seller cites the appropriate bibliography in the description. If you’re interested in collecting a particular series, don’t let the lack of bibliographic information dissuade you! Enthusiasts find collecting serial fiction particularly satisfying because the ideal contents of the collection are already well defined; the pursuit especially appeals to completists, who are often interested in building a collection whose value as a whole is more than merely the sum of its parts. A common approach is to assemble an entire set without regard to edition. Then you can work toward replacing less desirable editions as you become more confident and knowledgeable. This entry was posted in Children's Books, Collecting and tagged children's books, collecting, Edward Stratemeyer, first editions, Horatio Alger Jr, rare books, serial fiction, Stratemeyer Syndicate on February 25, 2014 by tavistock_books.